Has it been a week already? Well alrighty then!! Let’s get this party started with our 2nd FLASH FRIDAY SALE! Just in case you missed last weeks’ email due to oh…just not opening it, or you’re a new subscriber, allow me a few seconds to repeat last weeks’ following msg. Don’t worry…this will stop after about a month and it’ll just be a quick shoutout to ya’ll and then on to the specials. Below you’ll see the 4 items that are available Friday, April 22nd ONLY! 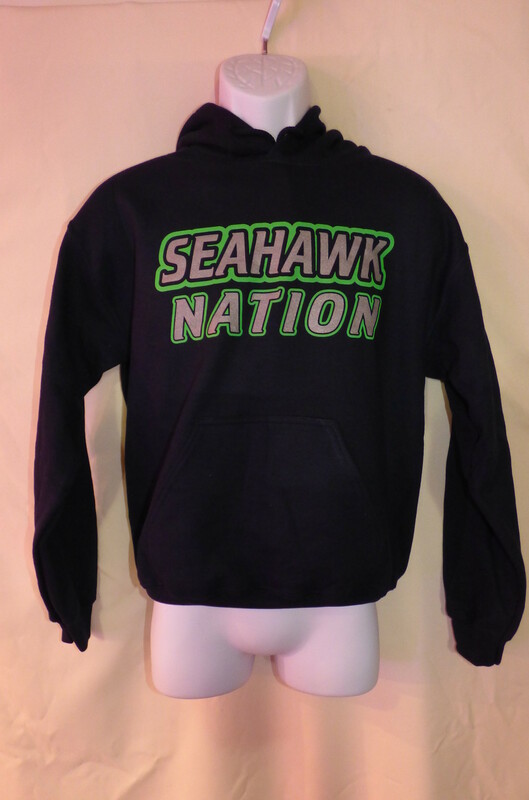 Buy one, get the other one FREE (just pay shipping and handling…had to put that in…HA!). Ready? Let’s Go!! “Get Better or Get Beat” super soft and comfortable, 32 singles, terry tanktop HERE. 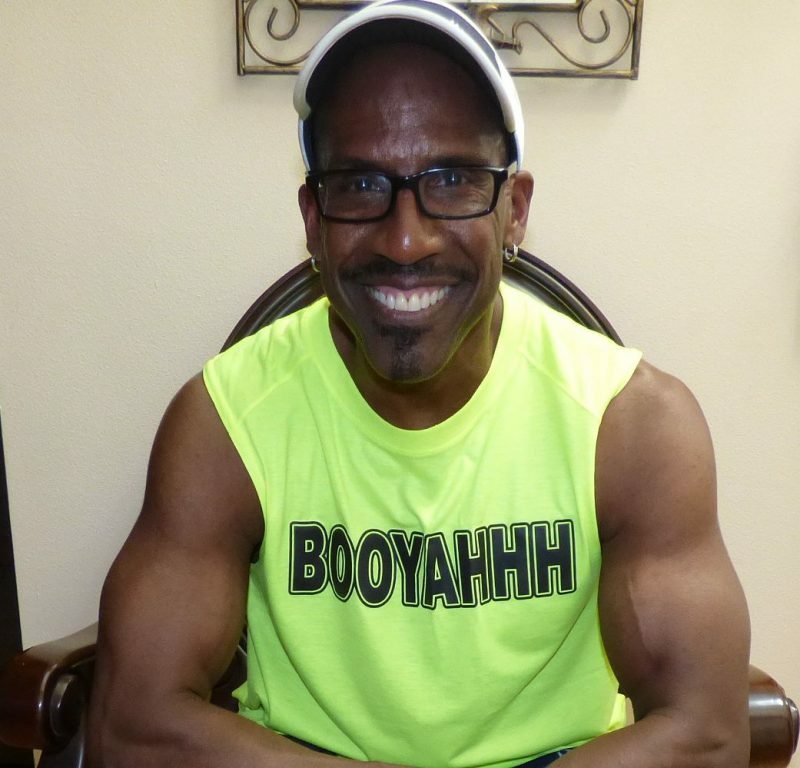 When we recieve your order (remember, order MUST be received by Midnight PST on Friday, April 22nd), we’ll ship you a FREE BUFFEDWEAR tanktop with your order. 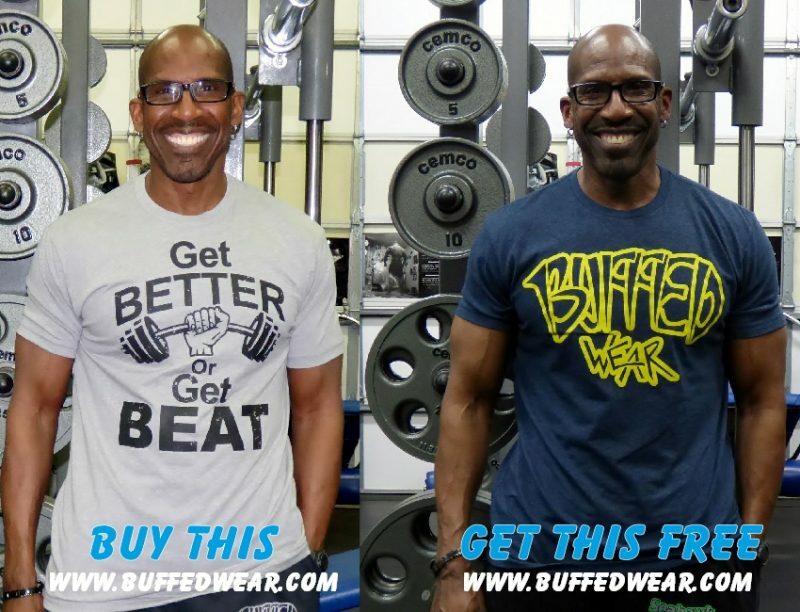 Buy this “Get Better or Get Beat” design on this super soft and comfortable, 32 singles, Next Level premium T-shirt HERE. 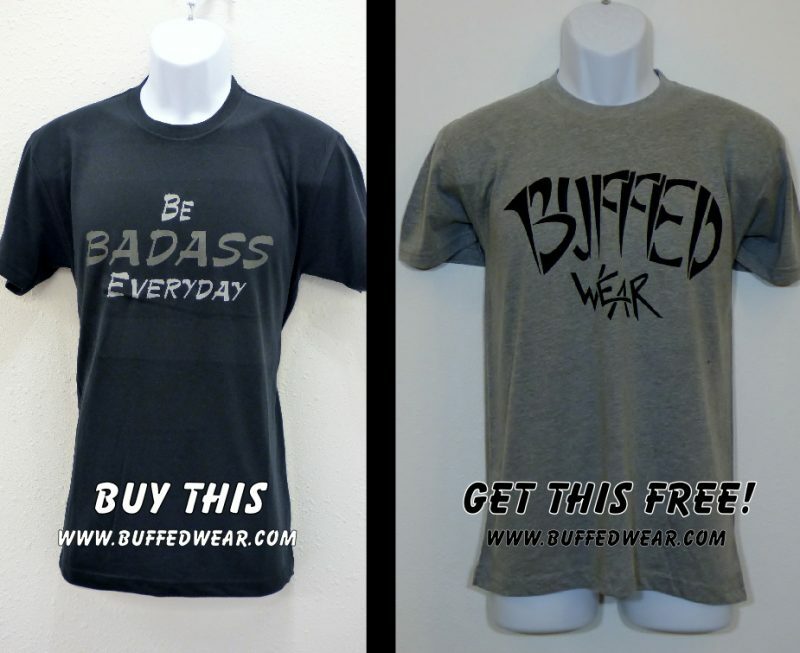 When we recieve your order (remember, order MUST be received by Midnight PST on Friday, April 22nd), we’ll ship you a FREE BUFFEDWEAR t-shirt with your order. 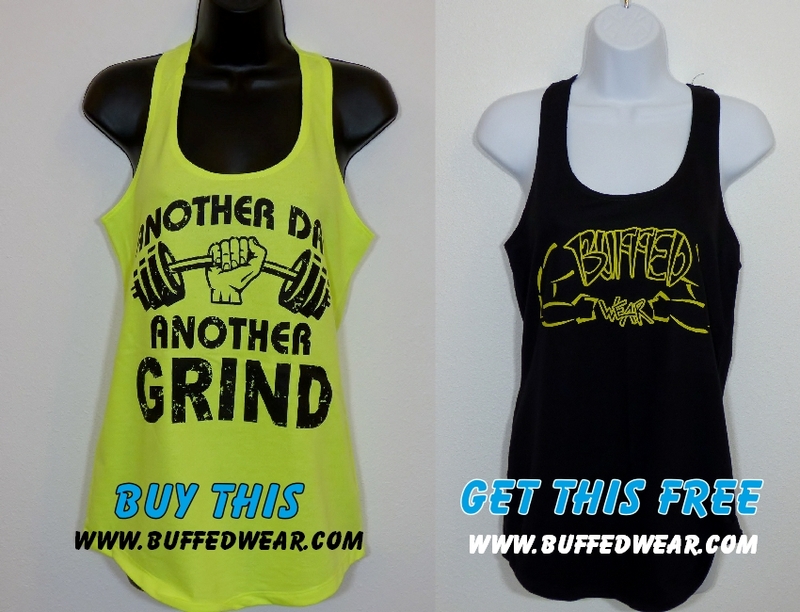 Purchase our ‘Another Day Another Grind” design on this super soft and comfortable, 32 singles, Terry tanktop HERE. When we recieve your order (remember, order MUST be received by Midnight PST on Friday, April 22nd), we’ll ship you a FREE BUFFEDWEAR tanktop with your order. 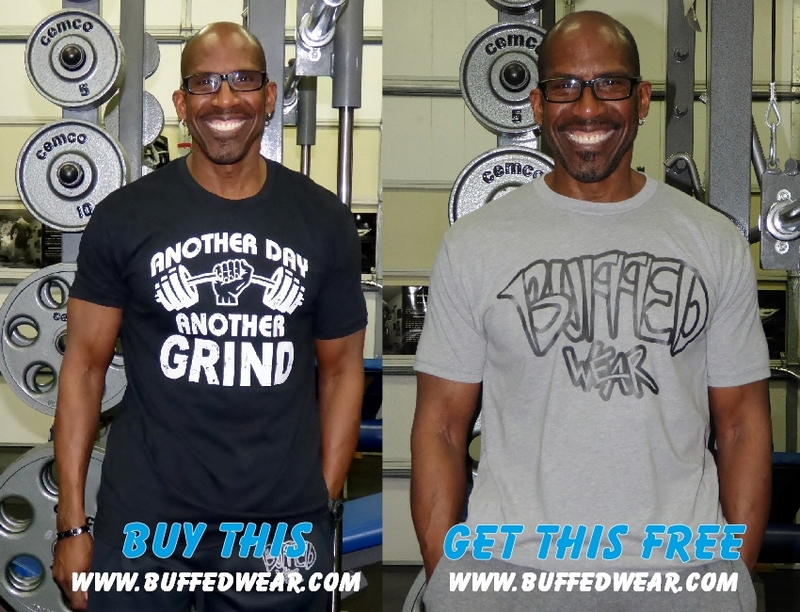 Buy this “Another Day Another Grind” saying on this super soft and comfortable, 32 singles, Next Level premium T-shirt HERE. 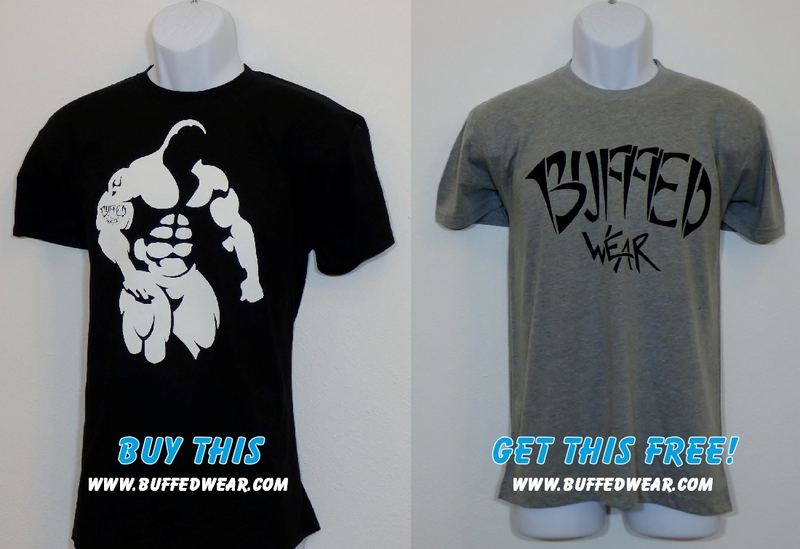 When we recieve your order (remember, order MUST be received by Midnight PST on Friday, April 22nd), we’ll ship you a FREE BUFFEDWEAR t-shirt with your order. 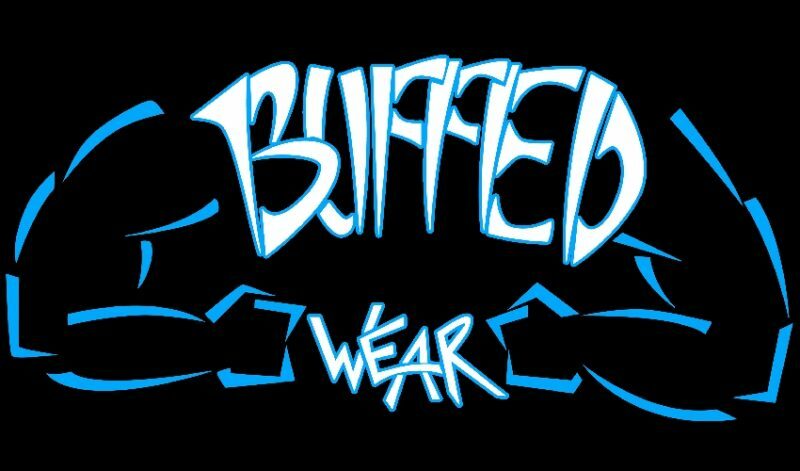 Welcome to BuffedWear, the unique clothing line by David “Dr.Buff” Patterson of The Dr. Buff Experience. 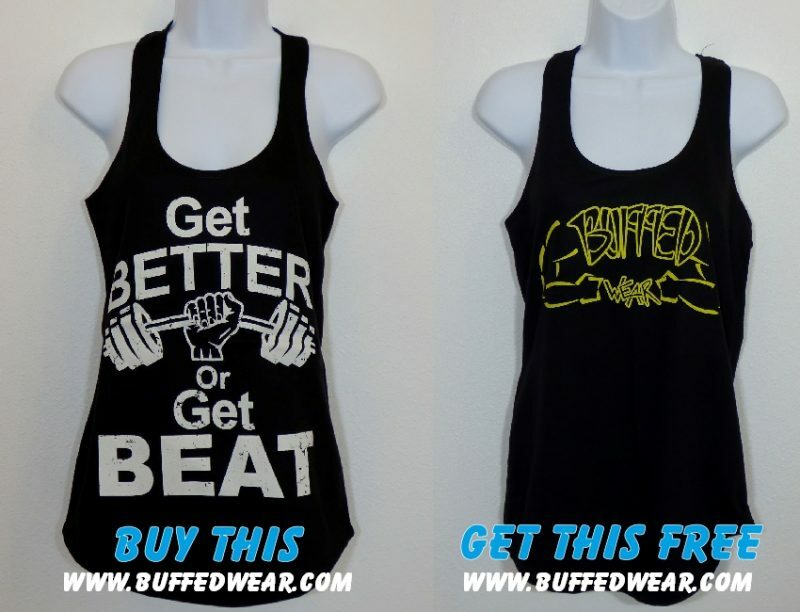 BuffedWear is THE place to buy the coolest gear to show off your buffedness – that buffed body that you’ve worked oh so hard for! 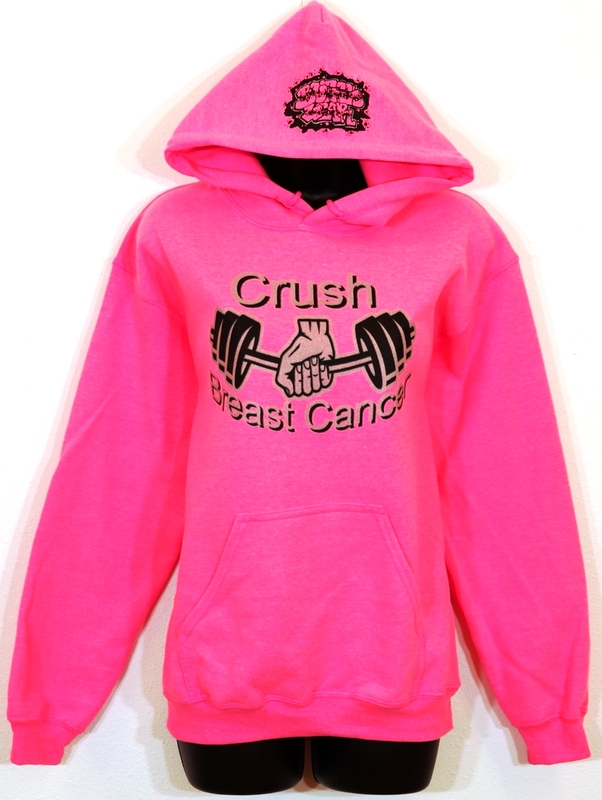 From the mini-buff’s to the maxi-monstrous buff’s, from the fit chicks to the buffed babes, from the already buffed to the wannabe buffed, we’ve got something for you. We keep our sayings clean and simple so they’re easily and quickly read. Our sayings are cool, our artwork is cool…heck, everything is cool! and we’re continually expanding everything! Take a few minutes to peruse our site. We hope you have a pleasurable experience while here, and hope even more that you’ll desire to buy something. 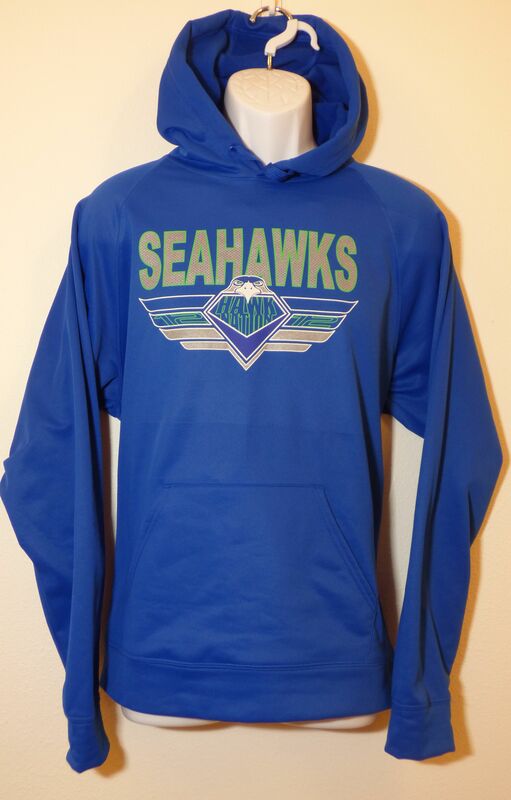 If not this time, then please come back and visit us again as we’re continually adding new inventory, sayings, designs, etc. If there’s a particular saying you’d like to see on a shirt, feel free to drop us a line below and we’ll see what we can do. We promise to get back to you quickly!